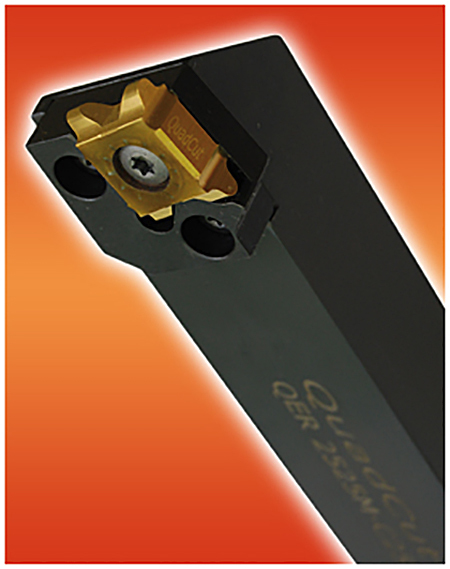 The newly designed axial external tool holder for Swiss type lathes. Fit with standard QuadCut inserts 12E, 12X and 12ER. 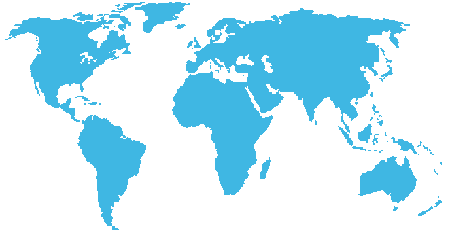 See our PDF-document for a detailed presentation of this product. The newly designed Tool holder for Swiss type lathes, gives you this possibility when thread turning with QuadCut. The new insert screw has a Torx T7 groove on both ends. 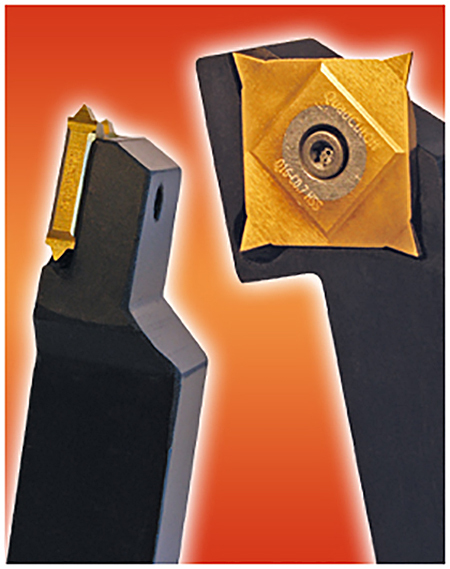 This enables the access from both sides using the same Torx key. Download the catalog in PDF format here. QuadCut offers exceptional strength, accuracy, and flexibility to your external and internal thread turning operations. Our four-sided design delivers improved tool life and faster threading. Some of the inserts for internal threading have a two-sided design but are stable as the four-sided. The inserts can also be delivered with CBN cutting edges for hard threading. See our product catalog for a detalied presentation of this product. 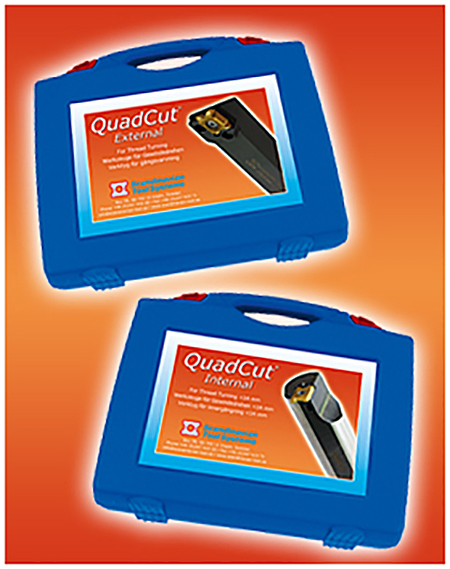 QuadCut Internal offers exceptional strength, accuracy, and flexibility for your external threading operations. 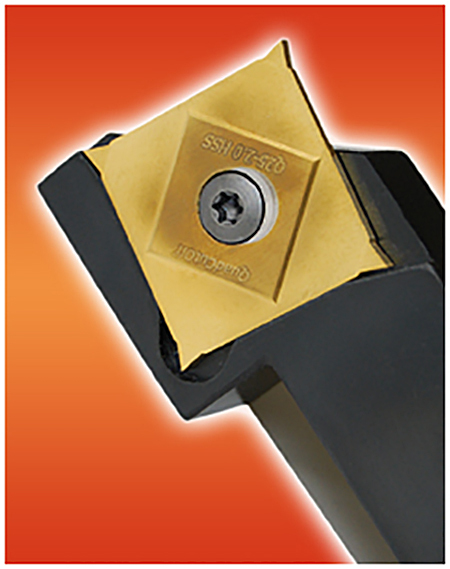 Our two and four-sided design delivers improved tool life and faster threading. The tool are made of speed steel and used for parting off. 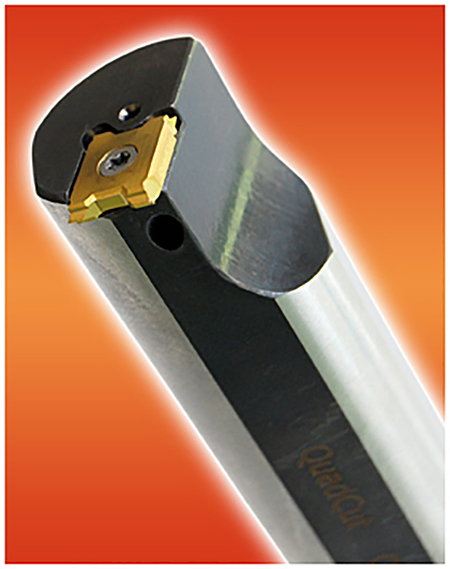 The unique design with four edges delivers improved tool life and cost savings. Compared to conventional parting off tools in hard-metal the speed steel do not crack that easily. 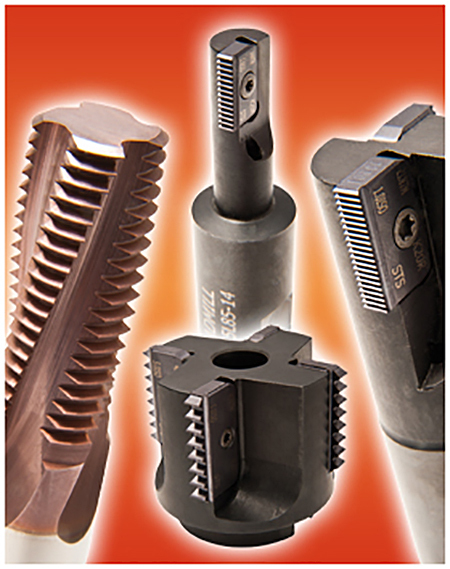 Solid carbide and indexable threadmilling gives a superior quality thread while providing substantial cost savings. The TwinCut system is suited for applications where larger pitches is required but where the hole diameter is limited. 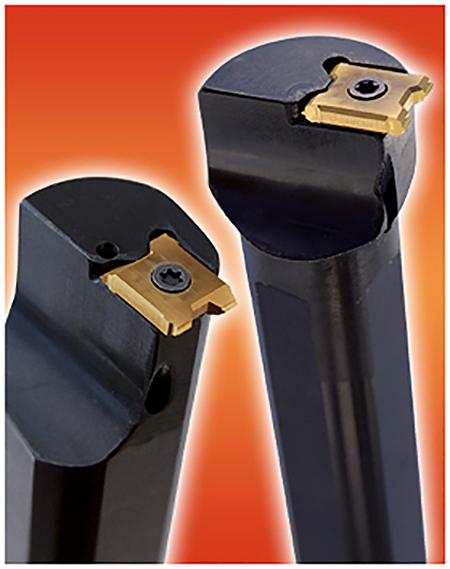 The TwinCut system allows internal threading in holes with a diameter from 18 mm and above. 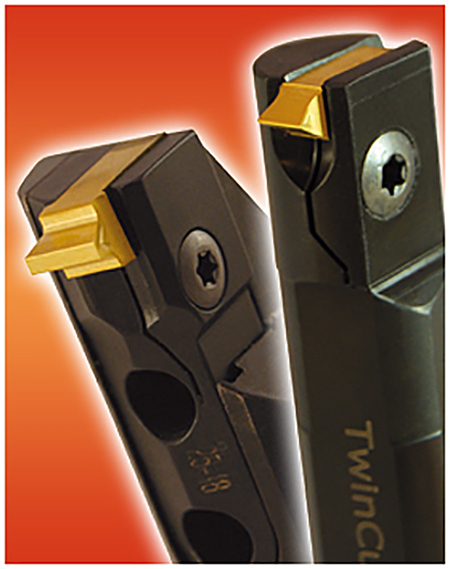 The TwinCut insert has two cutting edges, with a chipbreaker sintered into it. Kit no 1–6 and 9–12 for External threading. Kit no 7–8 for Internal threading.